On this page we publish brochures and other publications that you can view online or download. The information is aimed at UK organisations. If you need printed copies for your own events, please contact us with your request. Some of these publications are available in Welsh: visit the Welsh language page for more information. 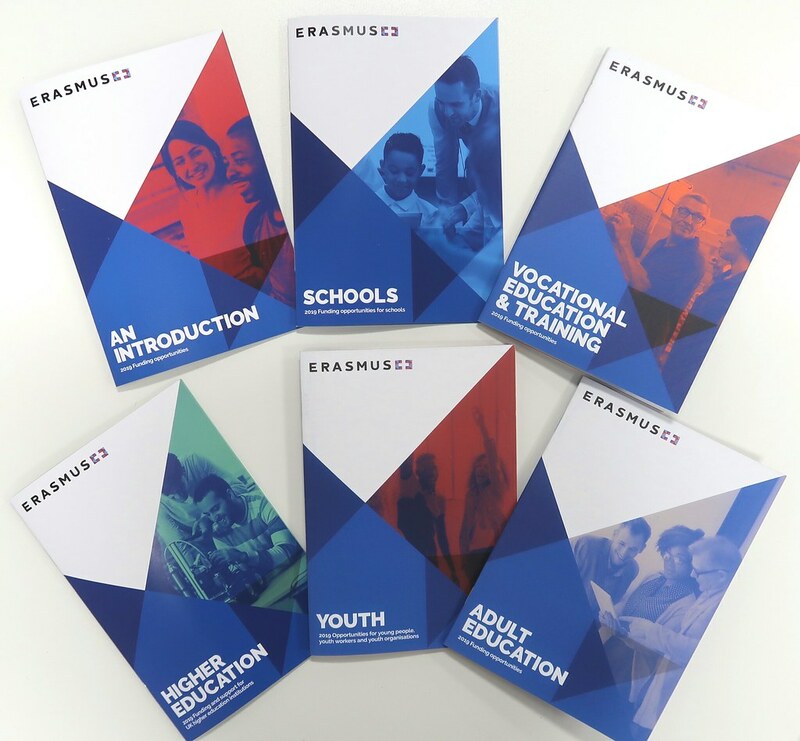 For information on the funding opportunities that we manage at the Erasmus+ UK National Agency, download our suite of six brochures. Erasmus+ is about people – the organisations who manage the projects, and the individuals who participate. Through our case study collections and other real-life stories, we aim to give a flavour of the diversity and depth of the Erasmus+ experience. Our Shaping Futures online book, produced to celebrate 30 years of the programme, shows the impact of Erasmus+ in the UK with inspiring stories from former participants. Our ‘Apprentice Work Placements’ booklet features case studies from employers, colleges, training organisations, and apprentices, that illustrate the benefits of mobility funding for vocational education and training. On the ‘Erasmus+ stories’ webpage you can browse project case studies by theme, UK country, or sector.